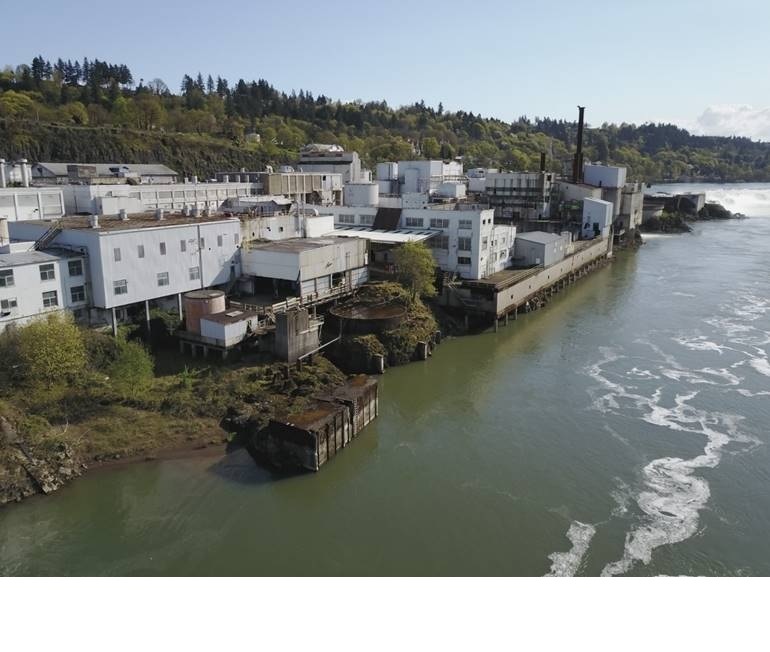 Clackamas Fire District #1 will be conducting a large-scale commercial fire training exercise with neighboring Fire Departments at the property of the former Blue Heron paper mill, 427 Main St., Oregon City. The training exercise will occur over a two week period on the following days: August 29-31 and September 5-7, starting at 9:00 a.m. The purpose of this exercise is to provide training for firefighters under realistic conditions to ensure that firefighters are performing at their best when a real emergency occurs. The training exercise will use smoke barrels to simulate the smoke that is present during a real structure fire. Firefighters from Clackamas Fire District #1, Canby Fire District #62, Estacada Rural Fire District #69, Gladstone Fire, Lake Oswego Fire, Portland Fire and Rescue, and Tualatin Valley Fire and Rescue, will practice their skills in commercial roof ventilation, large-area interior building searches in low visibility, hose deployments into multiple stories and long distances, and setting up for defensive fire operations. The Fire District has been preparing crews over the last few months by practicing all of these skills. The final drills are called, "Down and Dirty," which are scenario based, with several fire apparatus, and are designed to test firefighter's ability to work together in coordination with other area fire departments. The Clackamas Fire Training Division will evaluate firefighters for skill proficiency and to address any identified challenges that may present themselves when dealing with large-scale, complex commercial occupancies. The public can expect to see anywhere between five to ten fire apparatus in and around the drill site and may notice light smoke coming from the Blue Heron paper mill during the training exercise. The Fire District asks residents to please keep their windows closed during that time to prevent smoke from entering into homes and businesses. Members of the media are welcome to attend during the training exercise, and are asked to contact Public Information Officer Steve Hoffeditz to coordinate a designated staging area. Should you have any questions or concerns regarding this training exercise, please contact Public Information Officer Steve Hoffeditz at 503.742.2693.